Today I'd like to welcome to my blog Melissa Crowe. Melissa in a fellow Aussie Indie author who writes in the Paranormal genre, and we share a common interest—vampires! 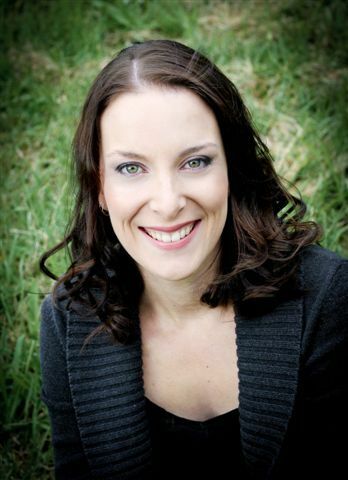 She talks about her writing process, her fave author, and her upcoming new release. I am always so bad at this part. Why did you decide to self-publish? Can you share your self-publishing journey with us? I did try to go along the traditional path of agents and publishing companies, but after numerous submissions and as many 'thanks but no thanks' emails I was ready to give up. I stepped away from the seven books I had written and never wanted to see them again. A friend of mine got a copy of Switched by Amanda Hocking with a Dolly magazine for her daughter and read it. She called me straight away and told me that I needed to self publish my work. I couldn't just leave it, they were stories that needed to be told. I revisited my work and agreed, I love my characters too much not to share them with people who I believe will enjoy them. There is too much of my heart and soul in them to let them be forgotten. So I did some research on what was going to work the best for me and delved into the scary yet exciting world of self publishing. Do you plan your writing, or are you a pantser like me? Tell us about your writing process. Process? Plan? I don't go into it with a set plan. 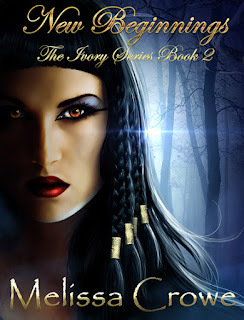 My NA Paranormal Romance stories, The Ivory series, I had the ending before I had any other part of it. I may get a snippet of what I want and get in front of the computer and let my imagination take over. It's great letting my mind run wild and explore parts of myself I didn't know existed. I do like finding things that are a little left field and running with it, so I do online research just to clarify some historical facts. But that is about as much planning as I do. Tell us a little bit about your current titles, and also what's up next for you? My new release is New Beginnings, book 2 of The Ivory Series. It is set one year after the ending of First Sight. My main character Vaughan is a 66 year old vampire. He hates being a blood drink and is taking steps to having his vampirism reversed to become human again. He travels to Egypt in search of The Creator, the first ever vampire, and pleads to her for his mortality back. First he must prove his loyalty to her and his cause. He makes some difficult choices which we will see the repercussions of in Awaken, book 3 of The Ivory Series. I have two other series I am also working on, but most of my time is devoted to The Ivory Series at the moment. Do you have any advice for writers looking to self-publish? Don't take no for an answer. If you truly believe in your work, then don't give up on it. Also, you will only get out what you put in. You can't release your work and expect to be on the best sellers list. You will spend just as much time on self promotion as you will on your writing. People who try to knock you down to make themselves feel better. If you could spend one day with an author, who would it be and why? Ooh, this is a tough one. There are so many great authors out there. My favourite writer is Anne Rice. I love the detail and passion she writes with, and she will always be the Queen of Vampires. This or that. Which do you prefer? I started writing in 2009 and have not looked back. I have eight stories in various stages of completion. After receiving too many knock backs to count from agents and publishers, I was ready to give up writing. That was until a friend gave me Switched by Amanda Hocking and said to me "If she can self publish, then why can't you?" So here I am, diving head first into self publishing and not regretting my decision at all. I am not looking to be the next Amanda Hocking, I just want to share my stories with people who will appreciate them.